Coloradan’s vote in future presidential elections to California and New York. Just 24 hours after the bill to kill our Electoral College vote was passed by Dems in the state Senate, the popular vote bill was introduced by state Reps. Emily Sirota and Jeni James Arndt of Denver, and now awaits House committee hearings. Gov. Polis is chomping at the bit to sign our surrender thinking it will secure future elections for their party, but the move won’t come without a severe backlash from Colorado voters of all political stripes. We don’t have any fancy polls to back up our assertion, none have been taken. But, PeakNation™ is howling with outrage after we posted the news a few days ago about Democrat state Sen. Mike Foote’s bill passing the Senate. When our humble little news site starts drawing more traffic than major daily newspapers, we take notice. And so should Democratic lawmakers. We wouldn’t be surprised if Capital phones are already ringing off the hooks and emails clogged with angry letters from Republicans, independents, and their own Democratic constituents yelling at them to stand down. This move won’t even require a constitutional amendment. Only a few more states need to join California, New York, New Jersey and the other heavily populated coastal states. 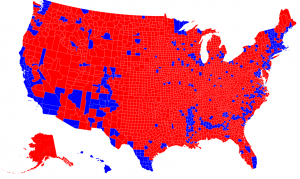 Once the compact reaches 270 electoral votes, then all of those votes will simply be awarded to the candidate who sweeps the country’s metropolitan areas. Since the Democrats can’t get National Popular Vote passed as an ammendment, they are setting themselves up for a fall. If the courts don’t intervene, even if they do, I think we Republicans and Independents will extract vengeance in 2020 on the Democrats at which time we can undo the damage, and pass an ammendment defining how Colorado’s Electorial College Representatives will vote in the future.